Meet Jasper! 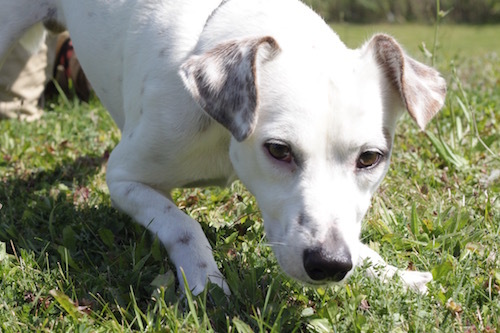 This adorable 8 month old dalmatian mix always puts a smile on everyone’s face. He’s a playful, energetic boy who is about 30 lbs right now, but he’ll continue to grow. He will do well with an active owner who has puppy experience. He’s been in foster for much of his life after being found as a stray and is ready to settle down with a loving family. He does well with other dogs and is just excited to meet new people and other dogs as long as they are willing to play with him! Special needs: General training. Since he’s a puppy, could use some puppy classes.